Big improvement on most if not all styrene kit items. Definitely an improvement on kit parts, some like me would have preferred belts with the seats. Loon is a house brand of Roll Models and new to me, although I’m vaguely aware of having seen the brand name before. Each pair of seats comes in a zip-lock plastic bag stapled to a card header. The seats are well cast with very delicate and scale thickness to the edges of the seat pans. 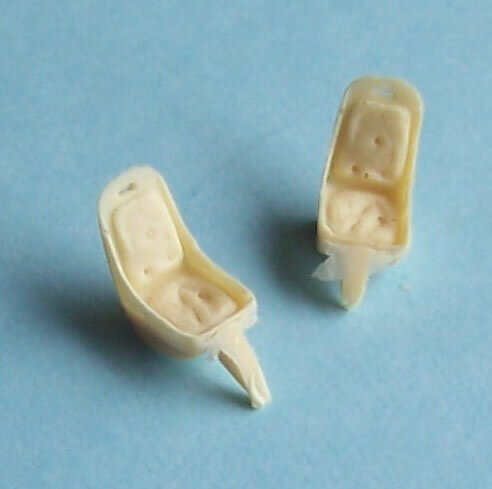 There were some fairly insignificant pinholes in my sample Bf 109 seats. Whilst good, somehow they don’t quite convey the quality of finish of the best Czech brands. They need a bit of minor cleaning up and filling, but this is not enough to detract from the improvement they will provide to the model they are used on. Roll Models web-site describes them as being in their “No Cut Series” which I assume means no casting block to remove. This certainly applies to the Me 262 seats, but the Bf 109 seats clearly have a pour stub attached – not that these will be at all difficult to remove. Each seat captures the comparative luxury of German sets squabs, but no seat belts are included in the casting. 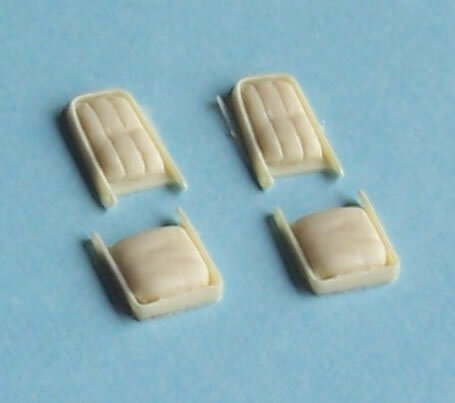 Personally I like seat belts cast with the seat, especially in 1/72 scale. I realise there will be those who don’t, and prefer to add either after-market PE belts or make their own. Presumably it is this latter group Loon are aiming at, as I for one would always buy a good seats with well mastered belts cast in place over ones without. These are nice seats that should improve any kit they are added to. Whilst I consider them to be a little lacking because of no belts, they should appeal to those who prefer to add their own. Recommended, especially to the separate belts brigade! 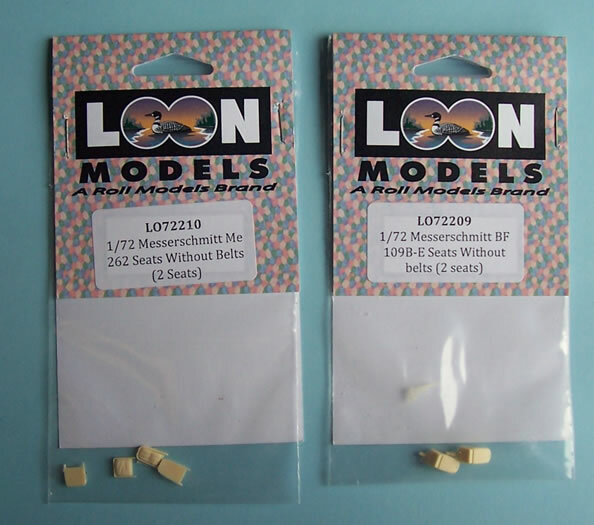 Thanks to Loon Models Loon for the review samples.